Technical software products from research organizations such as Fraunhofer and innovative solutions from start-up companies characterize the offer from scapos. The focus is on topics such as CAE Tools, Parallel Software, Nesting & Packing, Knowledge Mining, but also Maritime Navigation and Digital Manufacturing. Do you need assistance in your sales activities? Are you searching for partners abroad (Asia / America)? Please click here for more information about our offer for software vendors and company founders. scapos offers project management of national and European collaborative research projects. Please click here for more information. 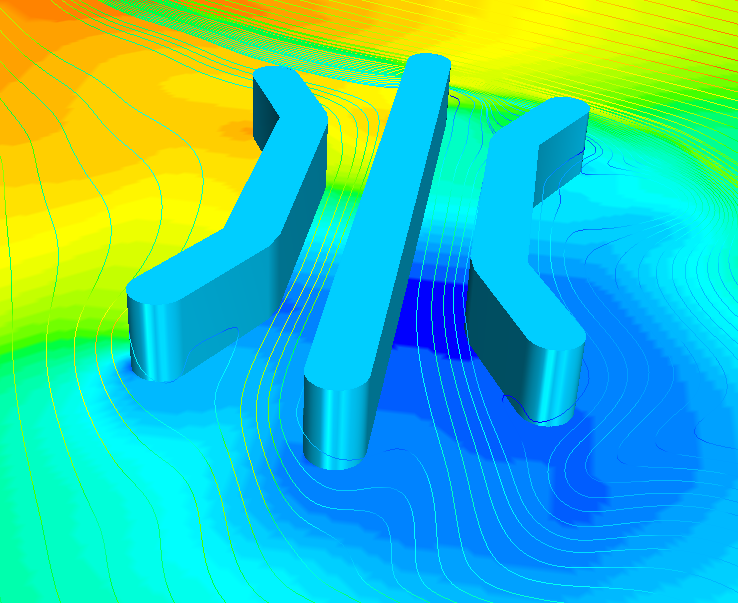 The new product MESHFREE, an innovative simulation tool for fluid and continuum mechanics, will be presented at the Automotive CAE Grand Challenge conference taking place in Hanau, Germany from April 16th to 17th.